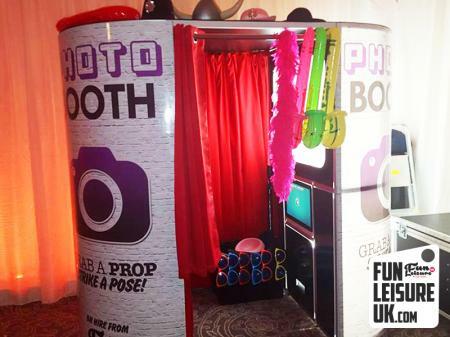 Gather your friends, family and colleagues together and let them experience a night of selfies like no other. 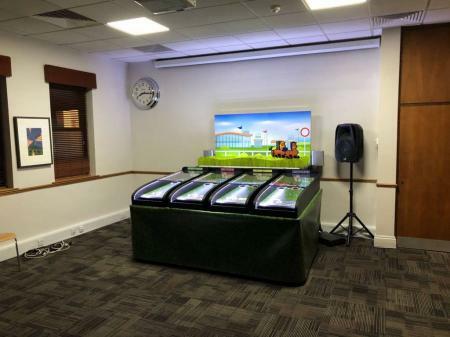 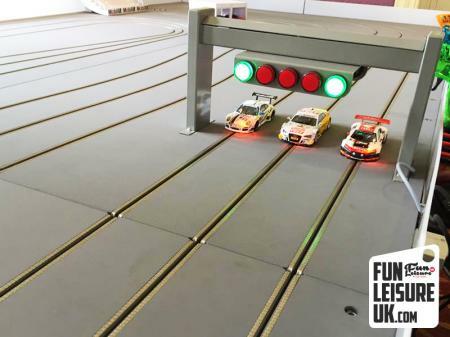 A perfect ice-breaker for all ages to enjoy at your next birthday party, wedding and corporate event. 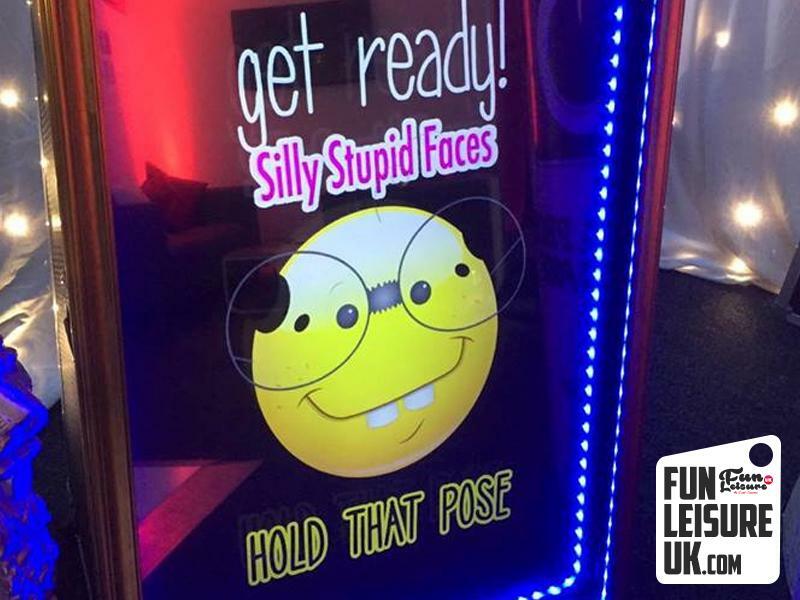 Imagine a fun product that can bring miserable Uncle Bob and quiet Cousin Smithy together while they pout and pose in front of our selfie mirror. 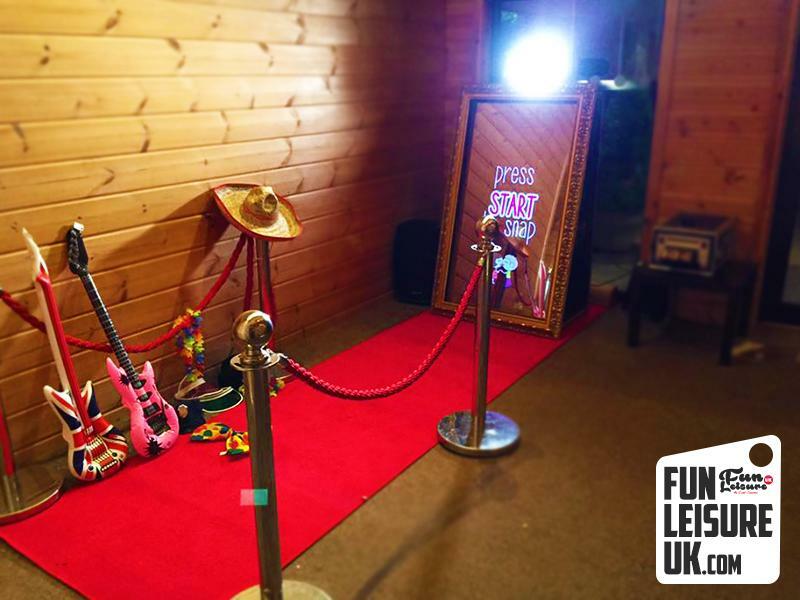 Say Howdy! 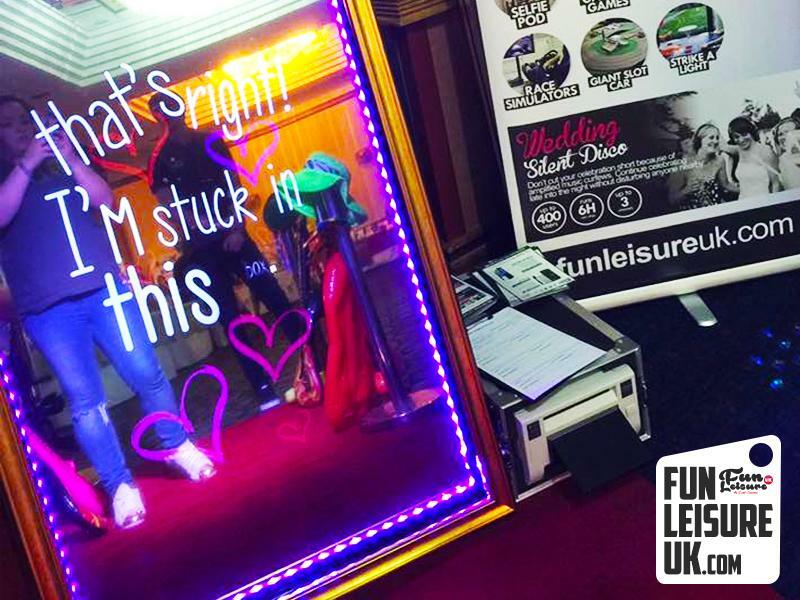 To our friend Magic, he's the latest addition to the Fun Leisure team. 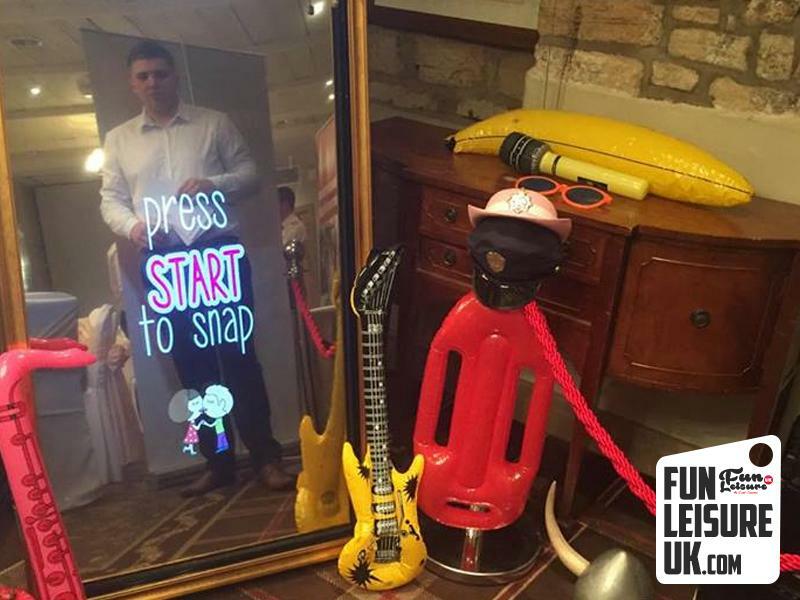 This poor little guy is stuck in our party photo machine, and he's ready to capture your pose with the Selfie Mirror hire. 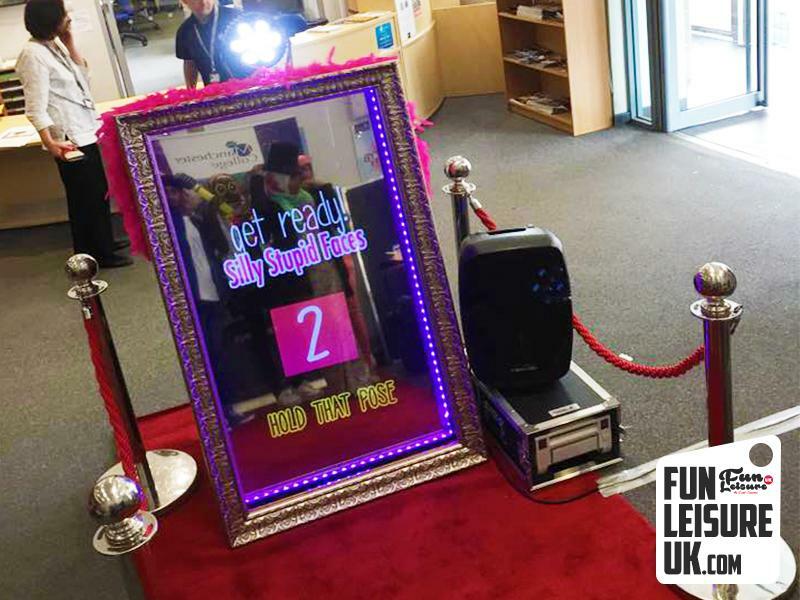 If you are in need of entertainment that is interactive, fresh and innovative look no further than the magic selfie mirror hire. 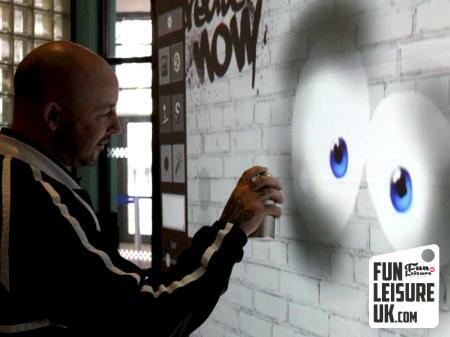 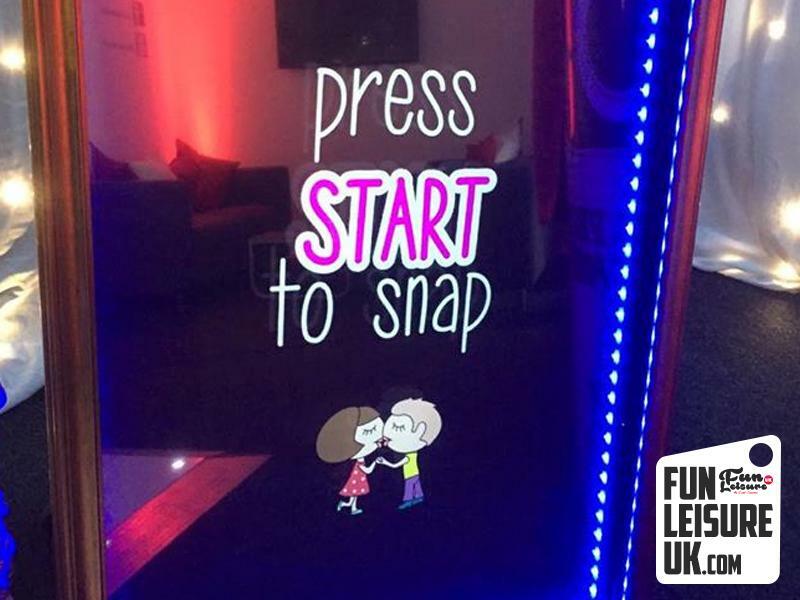 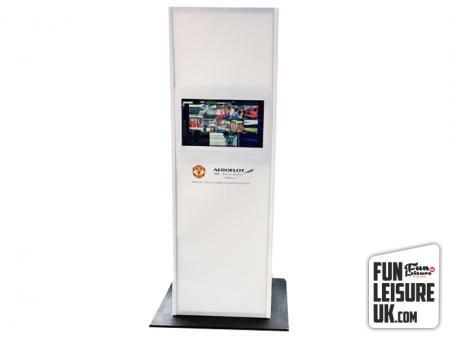 Controlled via touch screen animation, be amazed as the magic selfie mirror will talk and interact with guests. 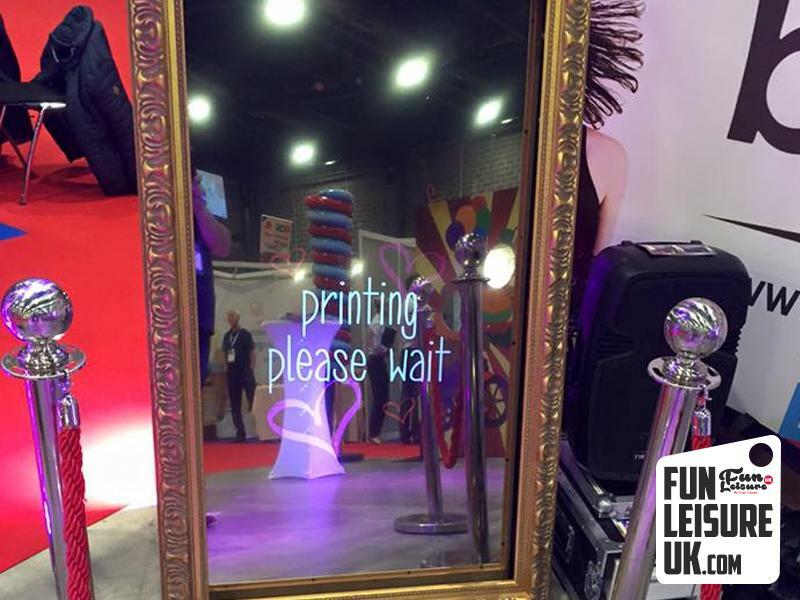 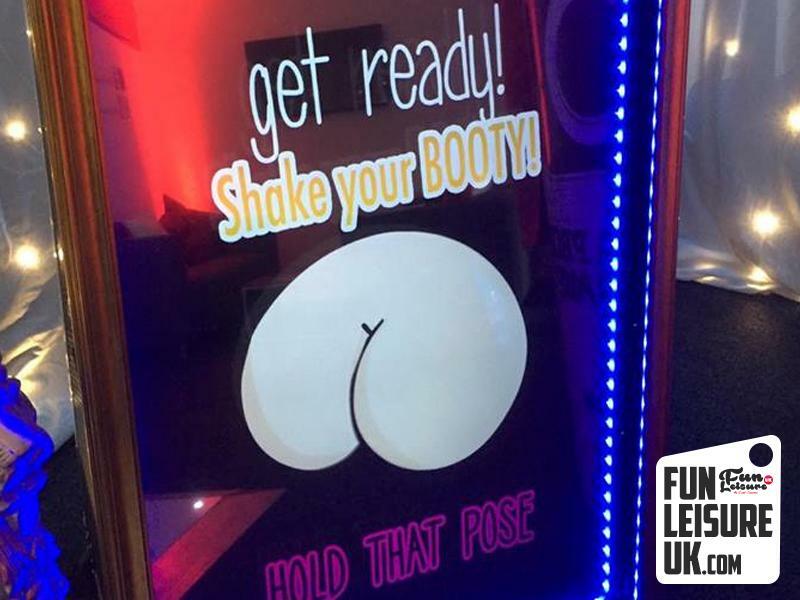 All magic selfie mirror hires come with unlimited prints over the duration of your hire staffed and operated by a member of Fun Leisure. 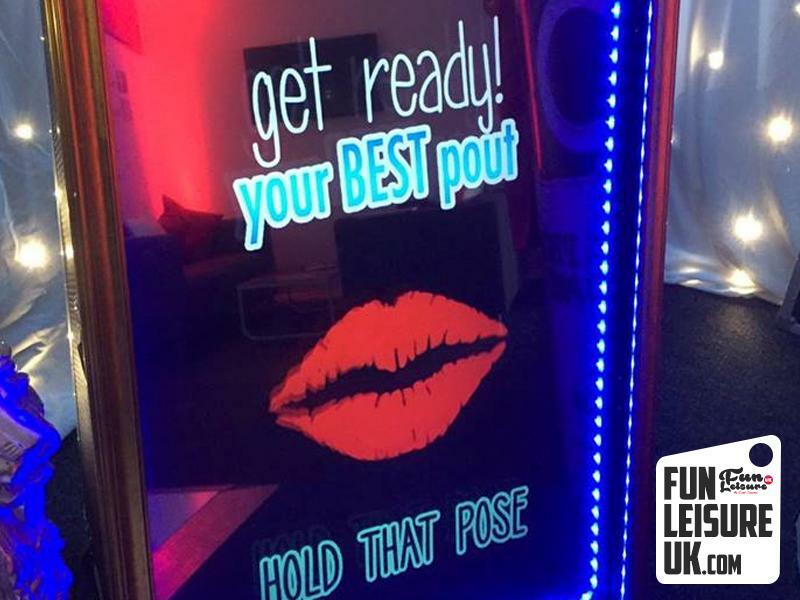 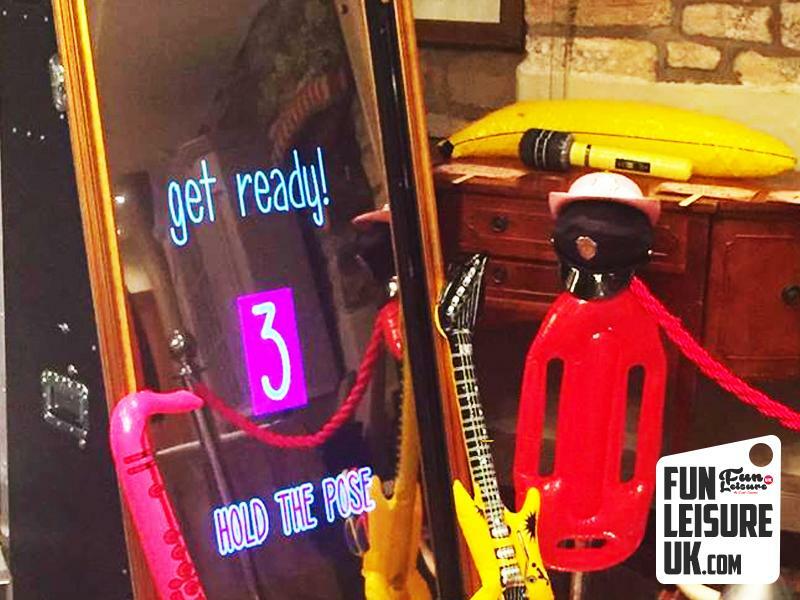 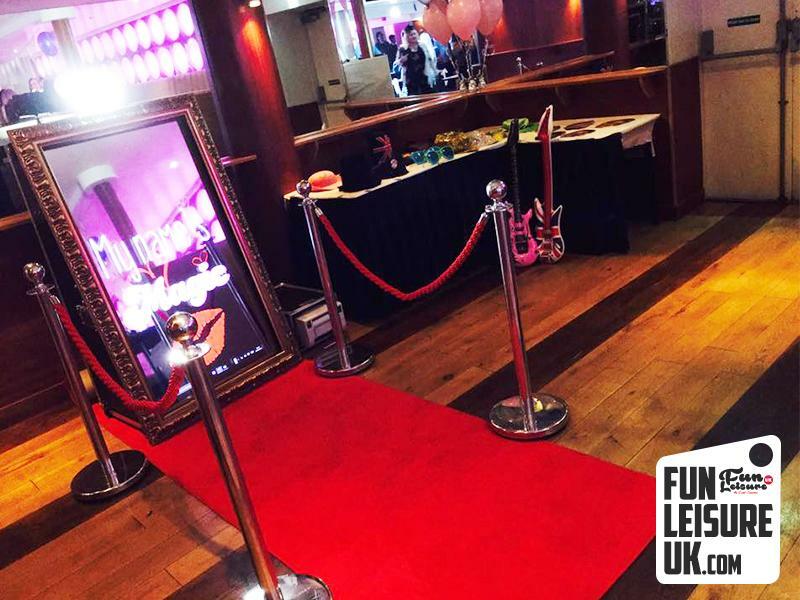 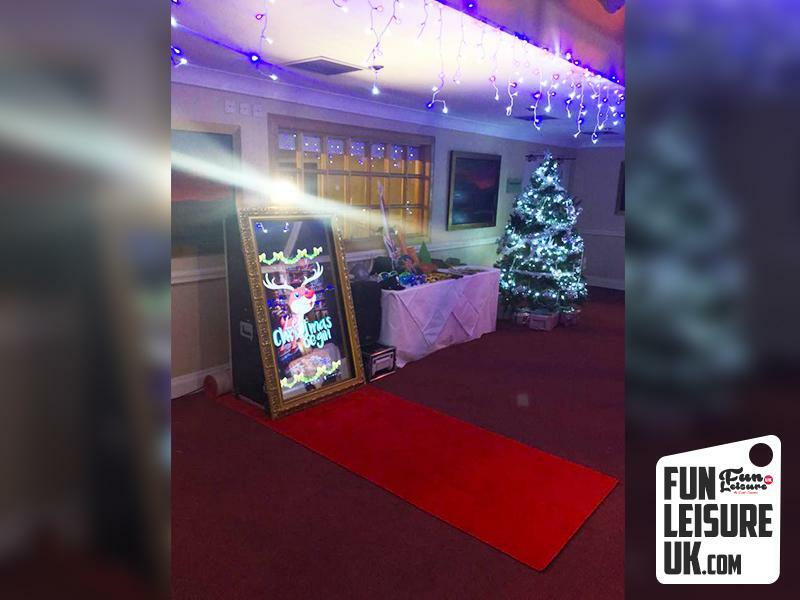 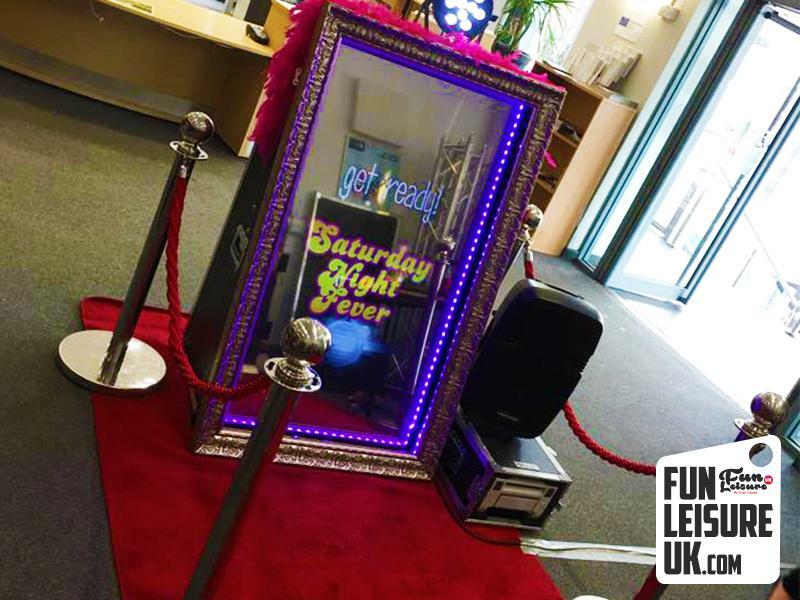 Enquire today to see what the Magic Selfie Mirror Hire can do for your next event. 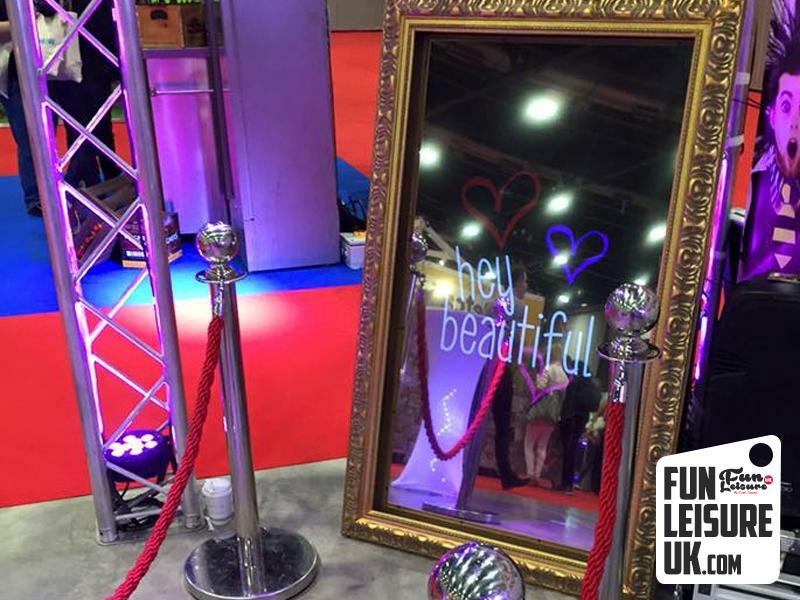 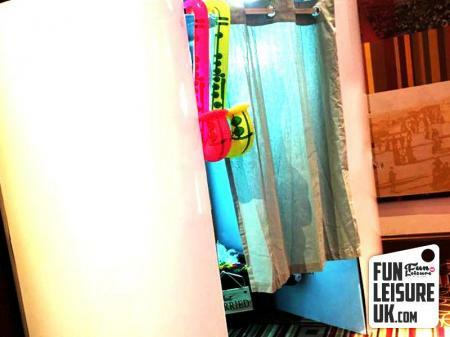 Our Magic Selfie Mirror storylines can be adapted to the theme of your event. 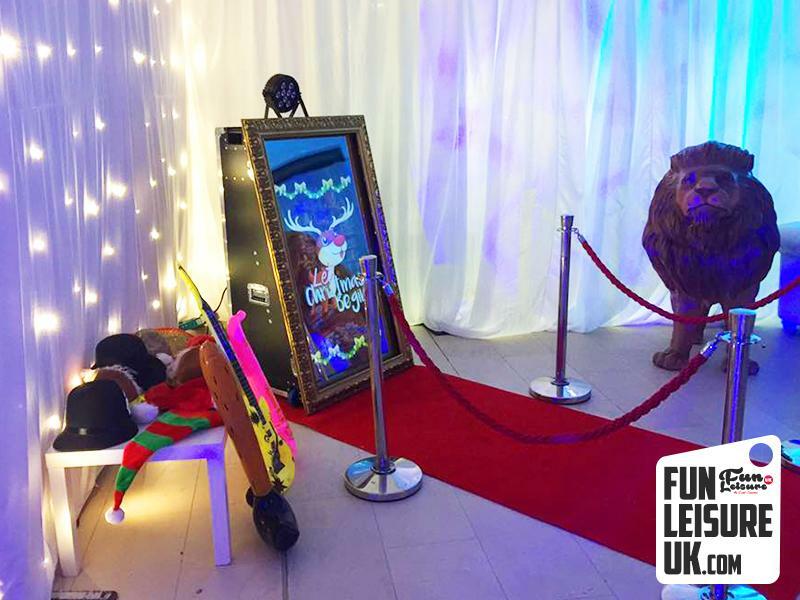 We currently have Magic, Gangster, Father Christmas and Count Dracula animation packs available to hire. 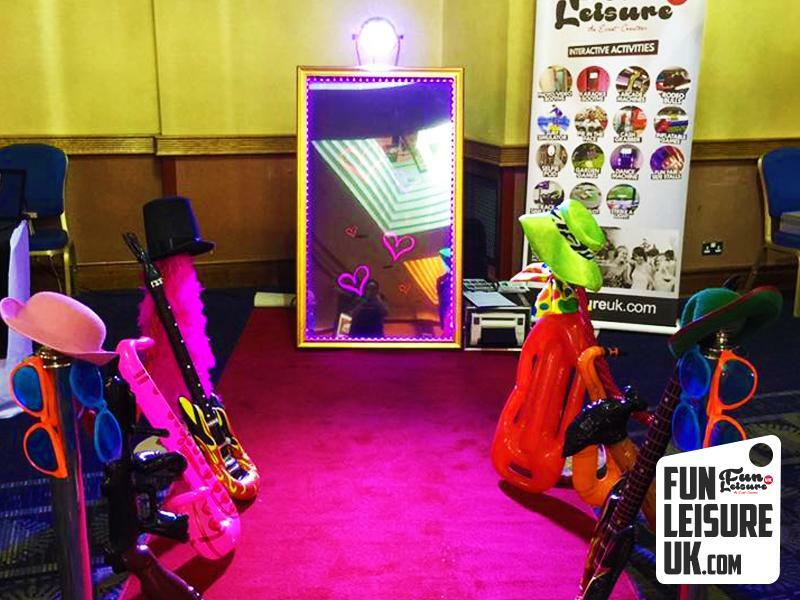 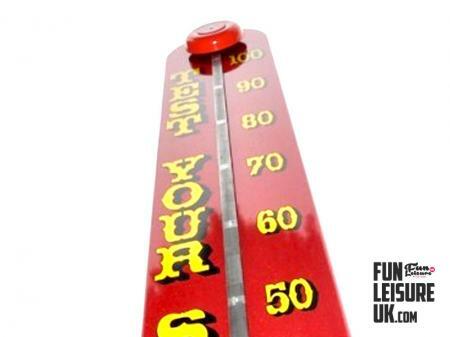 If you are searching for something truly bespoke, please speak with Team Fun on 01772 923990. 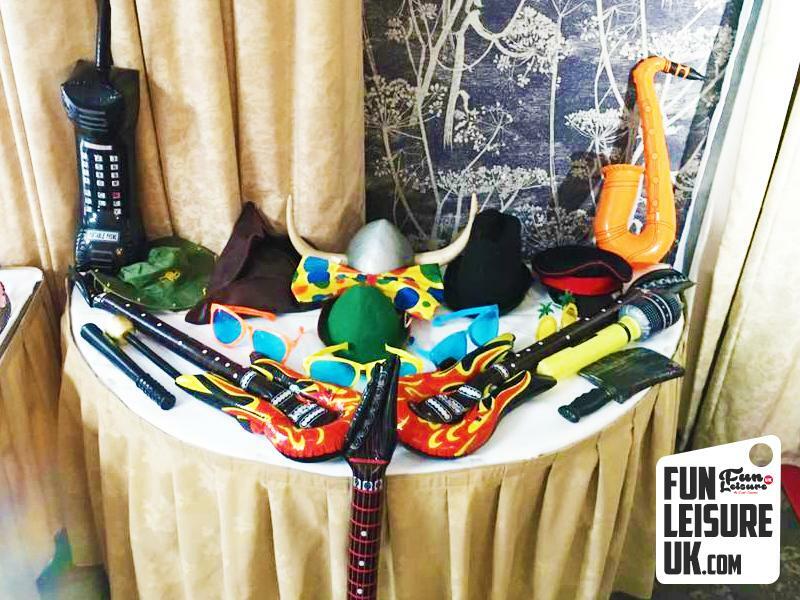 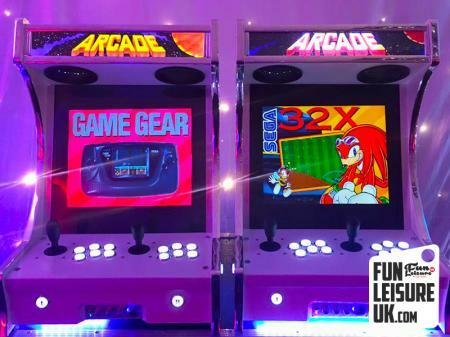 Take a look at our extensive range of wedding entertainment and corporate event ideas.